Pond Boss DFTN12003L Floating Fountain With Lights, 50 Foot Power Cord, 1/4 hp | Fountain City Art Ctr. The pond boss Floating Fountain with Lights provides an impressive water display while aerating and decorating your pond. The floating fountain is also an energy efficient product engineered to be cost effective and powerful with maximum durability. There are three fountainheads included in the kit for different aeration designs that you can use to finish the look of your water feature. The dusk to dawn sensor on the 3 LED lights illuminates the fountain display when the sun sets. 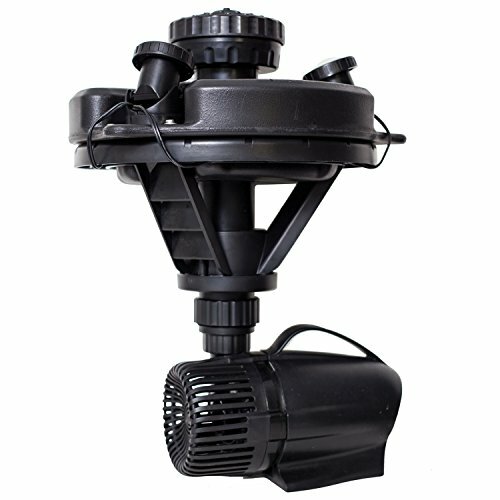 It's a product that provides aeration, design and energy efficiency all in one. If you have any questions about this product by pond boss, contact us by completing and submitting the form below. If you are looking for a specif part number, please include it with your message.